Were you caught up in Olympic fever like much of the nation? I was one of the very fortunate people to have had the privilege of going to the Olympic stadium at the beginning of August. 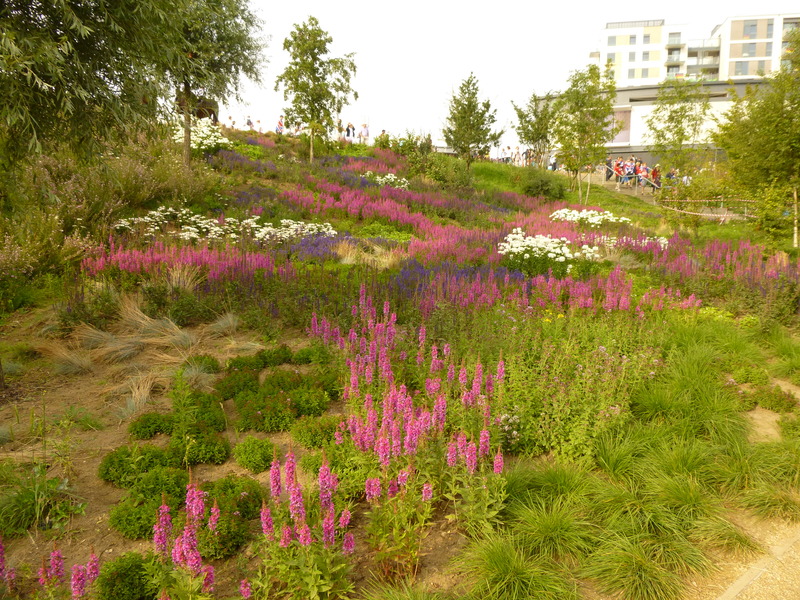 Whilst everyone else was hurrying along to get inside the stadium, I was engrossed in the amazing display of wildflowers that has been planted in the Olympic Park. The colours of the flowers reflected the main colours of the games, namely purples and pinks. You may not be aware that now that the games have finished the Olympic Park is going to be transformed into the largest municipal park to have been created in Europe in the last 150 years and will be ready for all to visit during the summer of 2013. This should be a lasting legacy for the people of East London, although on a smaller scale something we are aiming to achieve for the people of Guiseley with the preservation and enhancement of Parkinson’s Park. Jennifer, also found wildflowers in an unusual setting during the summer. On a walking tour around Holbeck to help the local Forum with their neighbourhood plan, she came across this sea of blooms. They had been planted by Holbeck In Bloom, to enhance derelict land where several rows of back to backs had been demolished. 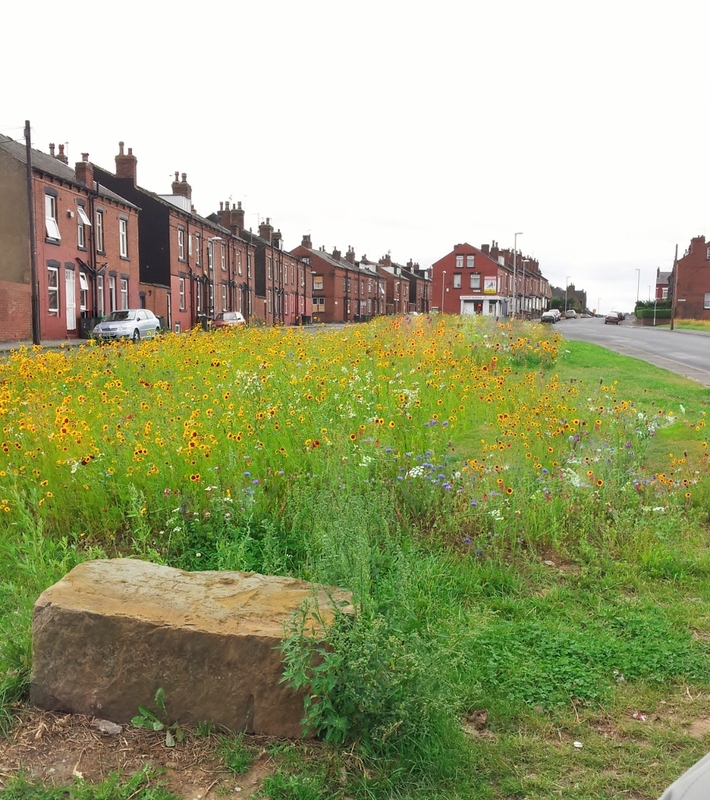 She said that this historic part of Holbeck sits surrounded by motorway’s out of Leeds and is one of the poorest areas of the city, yet the wildflowers were a reminder of how a meadow a can really bring life and light back to a community. We are currently raising funds for Josie to lead a project to establish our own wildflower area in the Park. This entry was posted in Ecology, Facilities and tagged Holbeck, meadow, Olympics, wild flowers. Bookmark the permalink.